Big Brother being axed is “not a great loss” because it was going in an “awful direction”, says one former winner. 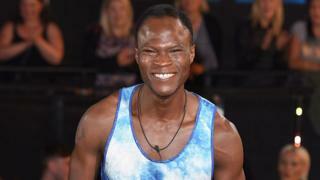 Brian Belo, who won series eight, believes the UK “definitely needs a break” from the reality TV show. “The direction they were going in was so salacious that the true fans of Big Brother couldn’t be with the show anymore,” Brian told Newsbeat. Channel 5, which announced on Friday the current series would be the last, said it didn’t wish to comment. Big Brother first appeared on screens in 2000 and was initially a huge success for Channel 4. Several former contestants went on to become famous names – including the likes of Jade Goody and This Morning presenter Alison Hammond. But it failed to hang onto audience figures when Channel 5 took it over in 2011. Brian says Big Brother was a “social experiment” and original fans loved this. However, he says Channel 5 was trying to appease the “casual viewer” so he thinks it’s “absolutely brilliant” it’s coming to an end. Aisleyne Horgan-Wallace, who was on the seventh series of the reality TV show, describes Big Brother as a “national treasure”. But she says it went from being a social experiment to a “stepping stone to fame”. “People can call me a hypocrite because I still work in the media off the back of being in Big Brother but that was genuinely never the reason I went in there. “I wanted to see what it was like to test myself and live in that environment. “I think it was more of an organic show back then and people didn’t crave fame or know it was going to come. Aisleyne told Newsbeat she was “devastated” to hear it was being axed and we wouldn’t have reality TV shows like Love Island or TOWIE if it wasn’t for Big Brother. She believes the show might make a comeback on another TV channel. “It paved the way for every single reality TV show. In a statement, Endemol – which makes Big Brother – said it was “disappointed not to reach an agreement with Channel 5” over the future of the show. The production company did hint that it might not be the end entirely as it added “the decision opens up a new chapter and we are excited about future possibilities for Big Brother in the UK”.